Henri Skinner is a hardened ex-war reporter on the run from his past. On his way to see his son, Sam, for the first time in years, Henri steps into the road without looking and collides with oncoming traffic. He is rushed to a nearby hospital where he floats, comatose, between dreams, reliving the fairytales of his childhood and the secrets that made him run away in the first place. After the accident, Sam—a thirteen-year old synesthete with an IQ of 144 and an appetite for science fiction—waits by his father’s bedside every day. There he meets Eddie Tomlin, a woman forced to confront her love for Henri after all these years, and twelve-year old Madelyn Zeidler, a coma patient like Henri and the sole survivor of a traffic accident that killed her family. As these four very different individuals fight—for hope, for patience, for life—they are bound together inextricably, facing the ravages of loss and first love side by side. A revelatory, urgently human story that examines what we consider serious and painful alongside light and whimsy, THE BOOK OF DREAMS is a tender meditation on memory, liminality, and empathy, asking with grace and gravitas what we will truly find meaningful in our lives once we are gone. 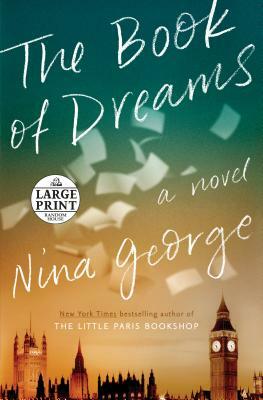 NINA GEORGE is the author of the bestselling international phenomenon The Little Paris Bookshop, as well as numerous other books that have been published around the world. She also works as a journalist, and advocate for writer and women’s rights. She lives with her husband in Berlin and Brittany, France.